Located in Kinta, this hotel is within 1 mi (2 km) of Yasmin At Kong Heng Museum, Han Chin Pet Soo, and Ipoh Mural. Ipoh Parade and Sam Poh Tong Temple are also within 6 mi (10 km). This hotel features 3 restaurants, 2 outdoor pools, and a fitness center. WiFi in public areas is free. Other amenities include a bar/lounge, a conference center, and self parking. All 410 rooms offer minibars, room service, and flat-screen TVs with satellite channels. Free bottled water, hair dryers, and laptop-compatible safes are among the other amenities that guests will find. 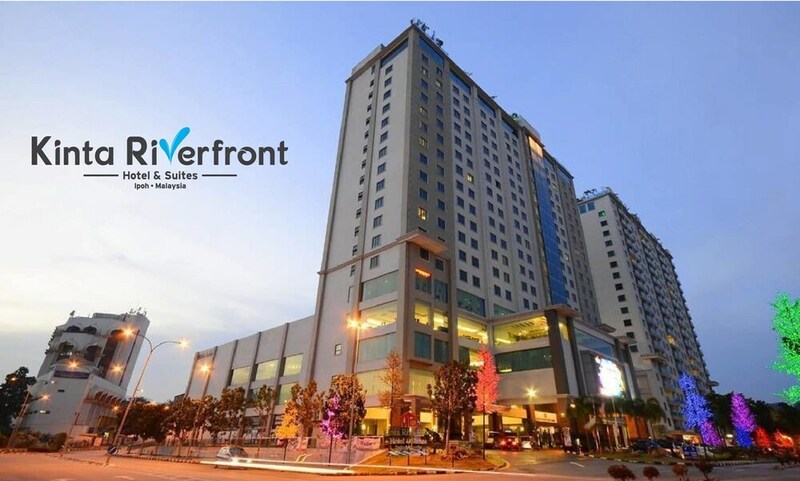 Kinta Riverfront Hotel & Suites features 2 outdoor swimming pools, a fitness center, and a children's pool. Dining is available at one of the hotel's 3 restaurants. The property also offers a grocery/convenience store. A bar/lounge is on site where guests can unwind with a drink. Public areas are equipped with complimentary wireless Internet access. This business-friendly hotel also offers concierge services, complimentary newspapers in the lobby, and dry cleaning/laundry services. For a surcharge, a roundtrip airport shuttle (available 24 hours) is offered to guests. Parking is available onsite for a surcharge. Riverview Coffee House - This restaurant specializes in international cuisine and serves breakfast, lunch, and dinner. Open daily. Shinjuku Restaurant - This restaurant specializes in Japanese cuisine and serves lunch and dinner. Open daily. Zui Xin Lou - This seafood restaurant specializes in Chinese cuisine and serves lunch and dinner. Reservations are required. Open daily. Start your morning with a buffet breakfast, available each day from 7 AM to 10:30 AM for a surcharge. You can order up room service during limited hours. Rollaway/extra beds are available for MYR 90 per day.